Watts Naomi Up To? Dating Billy Crudup! 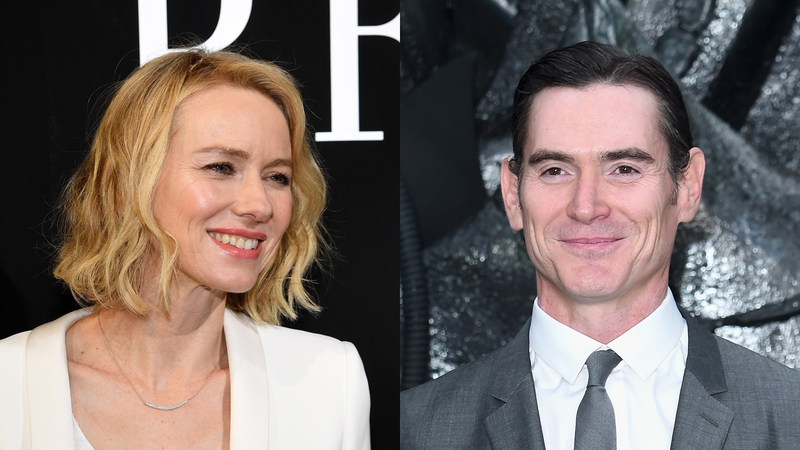 Naomi Watts, Oscar nominee and best friend of Nicole Kidman (two ideal character descriptors), is reportedly dating Billy Crudup, Tony nominee and guy who dumped Mary Louise Parker while she was pregnant with his child (two less ideal character descriptors). Hirsute actor type best known for his slavic fat pads and shockingly attractive children. I’m going to interpret this as more proof that Bella accepted Disick’s offer because she wanted a free trip to France. Who could blame her? Watch this video of Mariah Carey surprising the audience of a show called Beat Shazam, sitting at the piano, and not...singing...or...playing.